My boys love chocolate shakes! Whenever we go out to eat or happen to be near a place with chocolate shakes, they get em! Tonight we decided to stay in and make some at home! 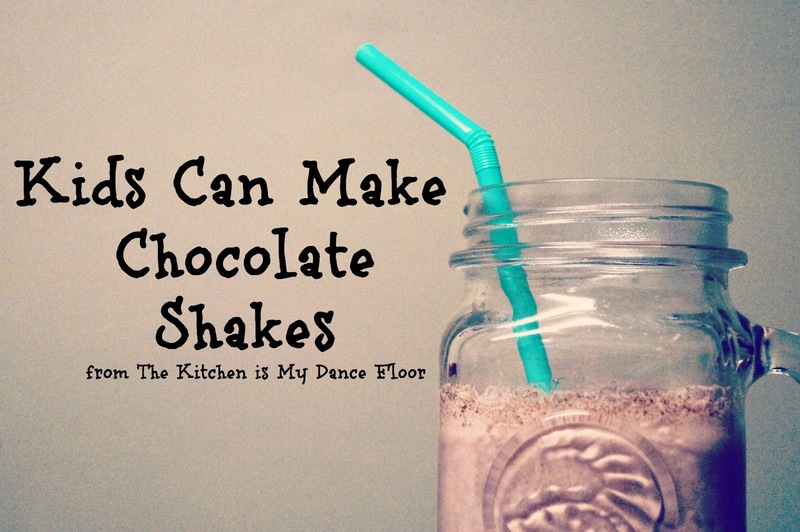 Add the ice cream and chocolate syrup into your blender or Ninja. Slowly add the milk a little at a time. A little milk will make a thick shake, add more to thin it out. I like to top my shakes with another scoop of ice cream and put in a mason jar. They would also be great topped with whipped cream or chocolate chips! This is a great little snack for the kids to help make. Thanks so much for stopping by today - have a great week! Suzie - Thanks so much for stopping by - I'll have to check out your party! 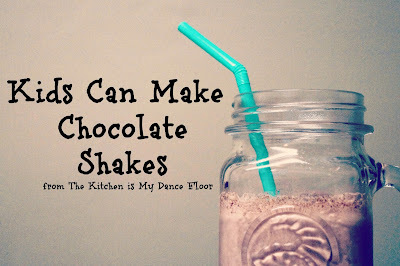 We love shakes in our house too! I love that my preschooler will be able to make this shake! Hi Victoria - Thanks so much for stopping by! My kids loved making these! Hello! Thanks so much for linking up your super easy and YUMMY recipe at Make Bake Create! I have a weekly Homemaking Party that I'd love to have you join, if you'd like! It starts over every Thursday.